Cordillera - A new video released by Lonely Planet - a popular travel guide book publisher has been criticized heavily by Filipino netizens when it described that the Banaue Rice Terraces were built by the Chinese. The famed Banaue Rice Terraces located in the Northern Luzon was dubbed as the "Eight Wonder of the World. 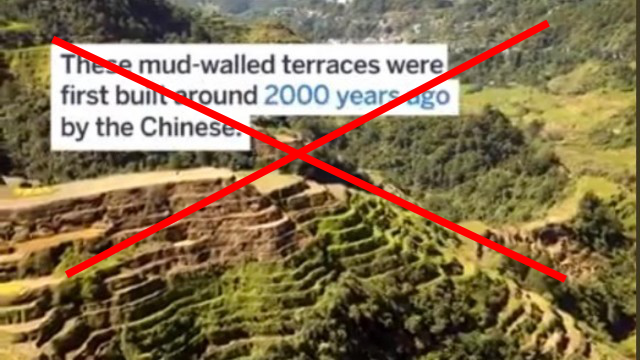 According the Lonely Planet video, it noted that the rice terraces were "first built around 2,000 years ago by the Chinese." A screenshot of the video at 0.50 mark clearly shows the texts over the video that says "These mud-walled rice terraces were first built around 2,000 years ago by the Chinese." Many netizens who have watched the video were quick to correct the erroneous description via social media. 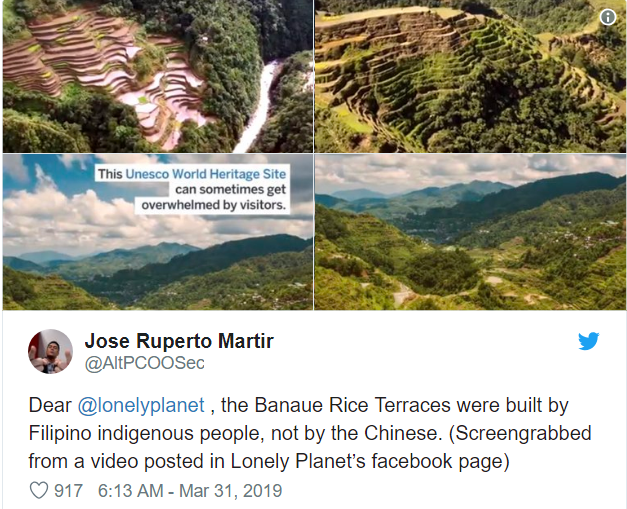 An Instagram user named Jose Ruperto Martir posted in his account, "Dear @lonelyplanet, the Banaue Rice Terraces were built by the Filipino indigenous people, not by the Chinese." "The Banaue Rice Terraces was built by the Filipino natives, particularly Igorots. China did not invade Philippines in the past nor did they build any infrastructures in our country. Until recently," one Facebook user commented. The video was later taken down by Lonely Planet. 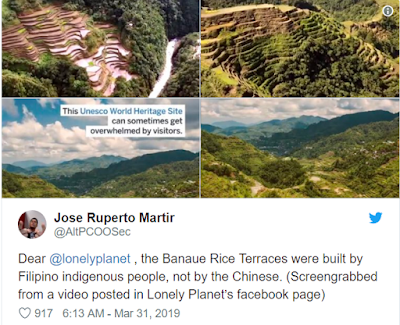 The United Nations Educational, Scientific and Cultural Organization (UNESCO) published in its website, the Banaue Rice Terraces are "priceless contribution of Philippine ancestors to humanity, Built 2000 years ago and passed of from generation to generation..." by the Ifugao people living in the area. 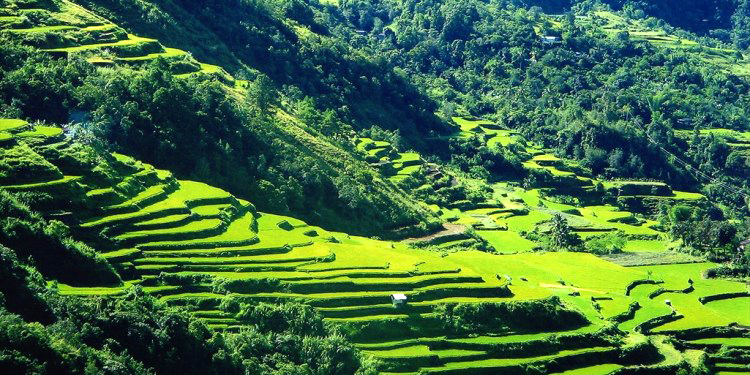 The rice terraces is located in the province of Ifugao, and it is one of the country's Natural Cultural Treasures. Cordillera - An automatic rematch is set for Kevin Belingon and Bibiano Fernandes in the near future after their historic trilogy ended up in a disqualification for Belingon. ONE Championship Chairman and CEO Chatri Sidyodthong said in a press conference that the two rivals would meet for the fourth time. "That's an automatic rematch," Sidyothong announced during a press conference just after the event in Tokyo, Japan. Fernandes snatched the belt from Belingon after the former was given a red card by the referee due to disqualification. Belingon accidentally landed a pair of illegal elbows to the back of the head of Fernandes in the second round. Fernandes was hurt and declared a winner when he couldn't stand up to continue the fight. Many fans were dissatisfied with the outcome of the fight and wanted the two rivals to meet again for the fourth time to settle things straight. 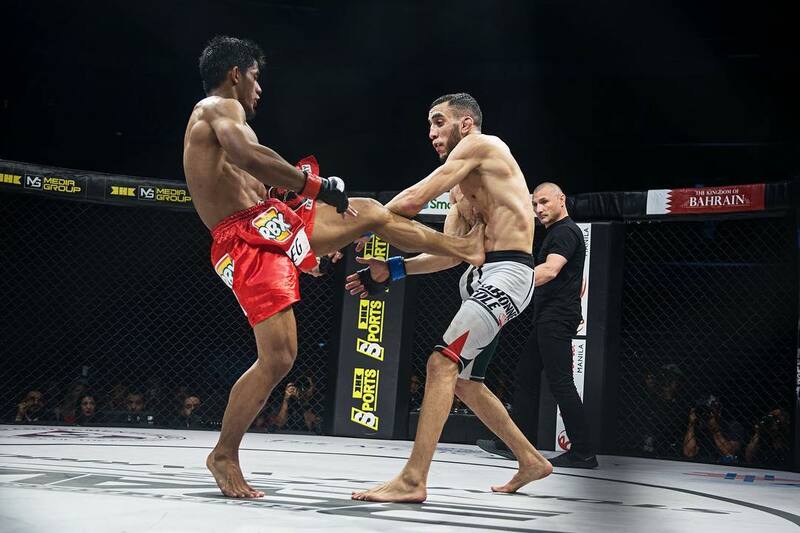 The early rounds of the bout had given the Filipino champion the upper hand as it scored clean shots and spinning back kicks to Fernandes. 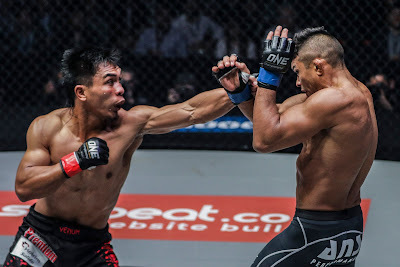 Fernandes was able to trade punches with Belingon in the next round which caught Belingon an overhand right to his jaw and took him off his feet. But Belingon was able to withstand the powerful shots and recovered. In the third round, Fernandes was able to ground Belingon but received two clean elbows to the back of his head. The referee stopped the fight and Fernandes was given 5 minutes to recover. The fight was halted after Fernandes was unable to continue the bout. 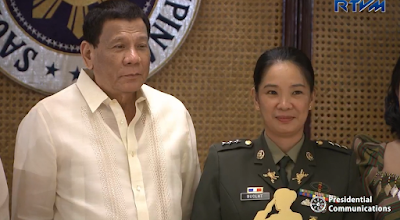 Cordillera - A new recruit in the Philippine military who battled in Marawi back in 2017 were among the three recipients of the second highest military medal for combat. Private Jerry N. Wassig from Kalinga was awarded with the The Distinguished Conduct Star (DCS) which is the second highest military award in the Armed Forces. 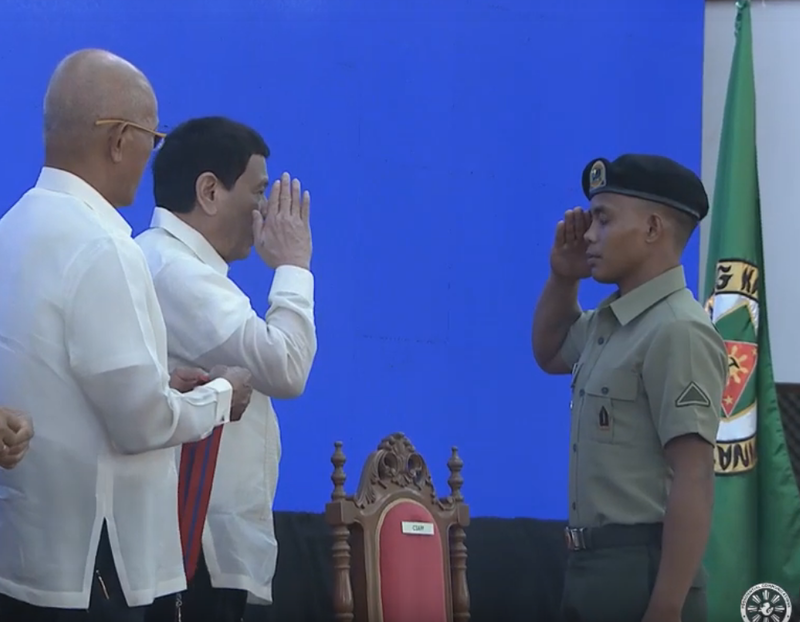 No other than President Rodrigo Duterte gave the award to Pvt. Wassig and two other soldiers Sgt. Arnel S. Alberto and Cpl. Roel P. Delos Reyes during the celebration of the Philippine Military 122nd Founding Anniversary on Thursday (March 21, 2019). Pvt. 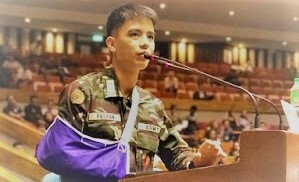 Wassig was only 9 months in the military service when he was assigned to fight in Marawi in September 2017. He served as the tail scout of the 1st Platoon of the 11th Scout Ranger Company tasked at confronting the enemies in battle and rescuing comrades who was fatally hit. Pvt. 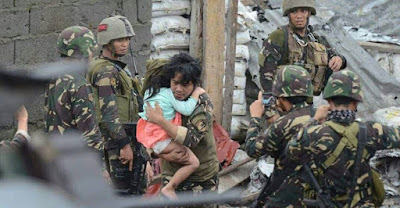 Wassig showed ultimate bravery in combat as he fearlessly crawled to the position of his comrades to rescue two casualties despite heavy gunfire exchange between the government forces and the Maute fighters. He was able to extricate his team leader first and later on his commanding officer "even as enemies continued to fire at his position". Pvt. Wassig risked his life three times to rescue his wounded comrades individually and his team leader. "Imbued with profound sense of responsibility and dedication to duty, Private Wassig audaciously crawled inside a sewer upon seeing his commanding officer was fatally hit and his team leader's condition was slowly deteriorating," his citation read. Cordillera - When the word Cordillera comes to mind or being talked about especially to most outsiders, they think of the images of bright and colorful attires (the bahag for men and tapis for women). Many also would think about the playing of gongs and solibaos during especial occasions or ceremony (kanyao). But there is also a part of the Cordillera culture that hasn't got much attention to outsiders and this is Cordilleran cuisines. Culinary adventurers and those who love tasting different food are welcome to the new Food Fair called "Mangan Taku" organized by the Department of Tourism - Cordillera (DOT-CAR) set on April 8 to 14 in the Baguio City. The aim of the food fair is to bring all indigenous cuisines from the whole region to Baguio for locals and tourists to experience a different kind of gastronomic indulgence here in the city of Pines. 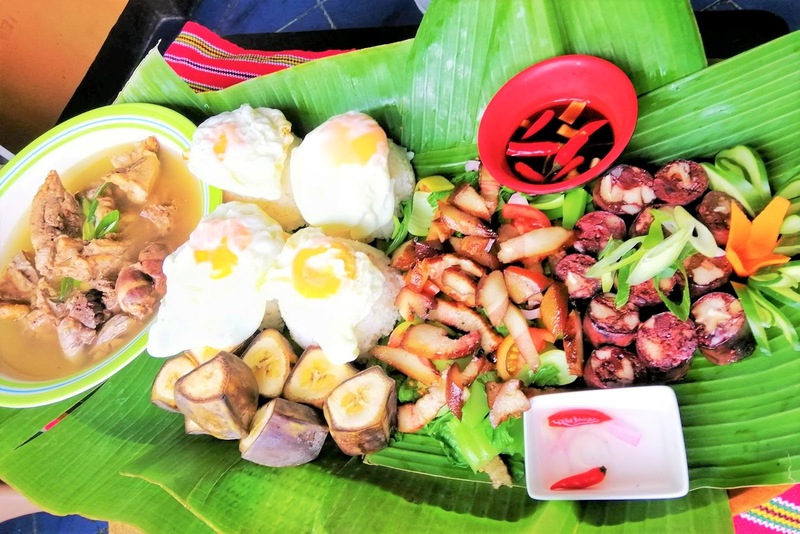 DOT-CAR officer in charge Jovita Ganongan said it is important to remember that dishes from the different provinces in the region have a special place in the culture to which it belongs and is special to those who prepare it. "Baguio will serve as the host of the Cordillera food fair considering that it is the most visited tourist destination in the region," Ganongan said. "We should embrace our heritage through food. It is a portal into our culture and it should be treated as such," she added. The food fair will not only promote the culture of the Cordillera but it will also showcase some of the cooking talents of the Indigenous People or IPs. 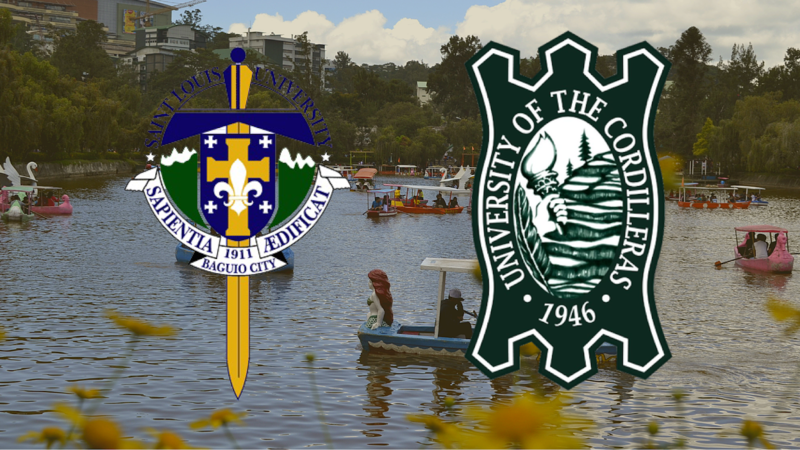 Holding the event in the month of April is a perfect time as more tourists are coming to Baguio to take a break from the summer heat. Philippine Statistics Authority (PSA) record shows that this mountain resort city received a total of 1.5 million tourists in 2017, or 77 percent of the region's total tourist arrivals of 1.96 million living up with its tag as one of the leading tourist destinations. Cordillera - Two of Cordillera's top universities are among the 15 finalists of the 5th Philippine Startup Challenge by the Department of Information and Communication Technology (DICT). 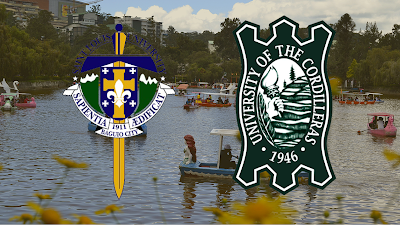 The University of the Cordilleras (UC) and Saint Louis University in Baguio city together with other finalists coming from different universities across the country were named by the DICT to compete in the final round on April 5, 2019 at the Grand Xing Hotel in Iloilo City. The top 15 finalists out of the 30 semifinalists were handpicked by the selection committee made up of tech and business startup leaders. These 15 universities have the most promising startup ideas from their students and they will be competing in the final round next month. 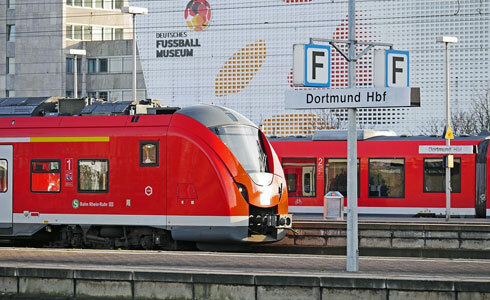 According to the DICT, the finalists were chosen based on customer validation (40%), execution and design (30%) and business model validation (30%). Qualifying startup ideas for this year range from off-the grid charging device solution to web-based application for donations. The PSC5 Top five Winners will receive Php200,000.00 each from the Department of Science and Technology's Philippine Council for Industry, Energy, and Emerging Technology Research and Development (DOST-PCIEERD) to assist the teams in product prototype development. The PSCC5 National Winner will also become part of Huawie's Seeds of the Future Program, a two-week college undergraduate study program to be held in China that shall equip them with ICT-based skills and knowledge. They also automatically qualify for the 2019 IdeaSpaceBootcamp. The University of the Cordilleras Team Y.A.N.A's startup idea is called Proximap, an augmented reality advertising and navigation mobile application. It uses Geolocation as well as voice and image recognition. Meanwhile Qantina from Team Magis of Saint Louis University is a platform that lets college students, officer workers or health buff to order and have meals delivered from home-cooks, aspiring chefs or restaurants around them. The other startup from SLU is called Qrent developed by Team Victorem. It is a web-based and mobile platform that is designed for safe, secured, and convenient rental transaction between renter and item owners. 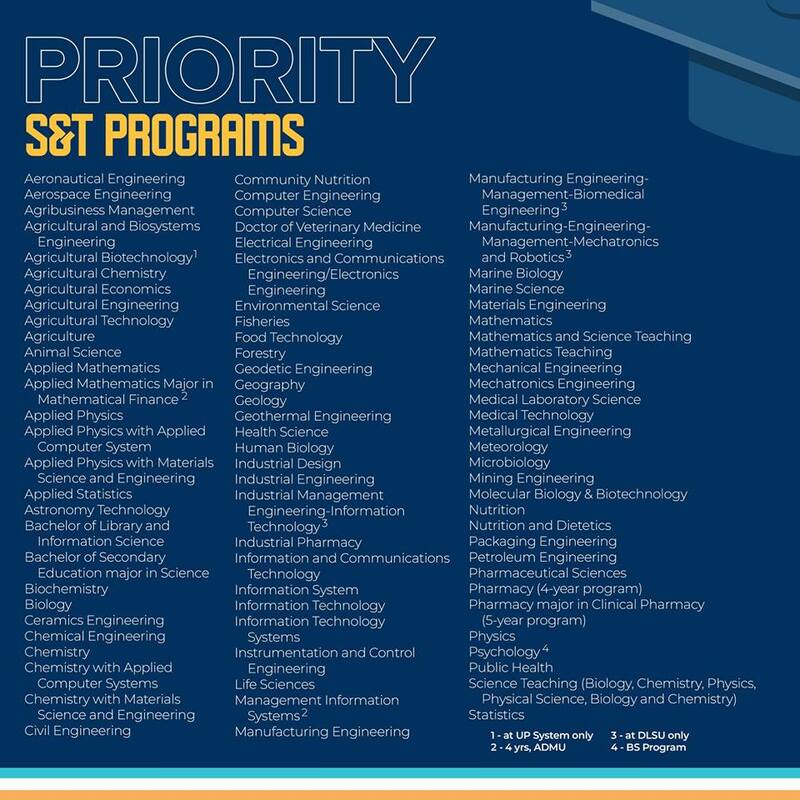 The Department of Science and Technology had announced the opening of its scholarship program for 2019. 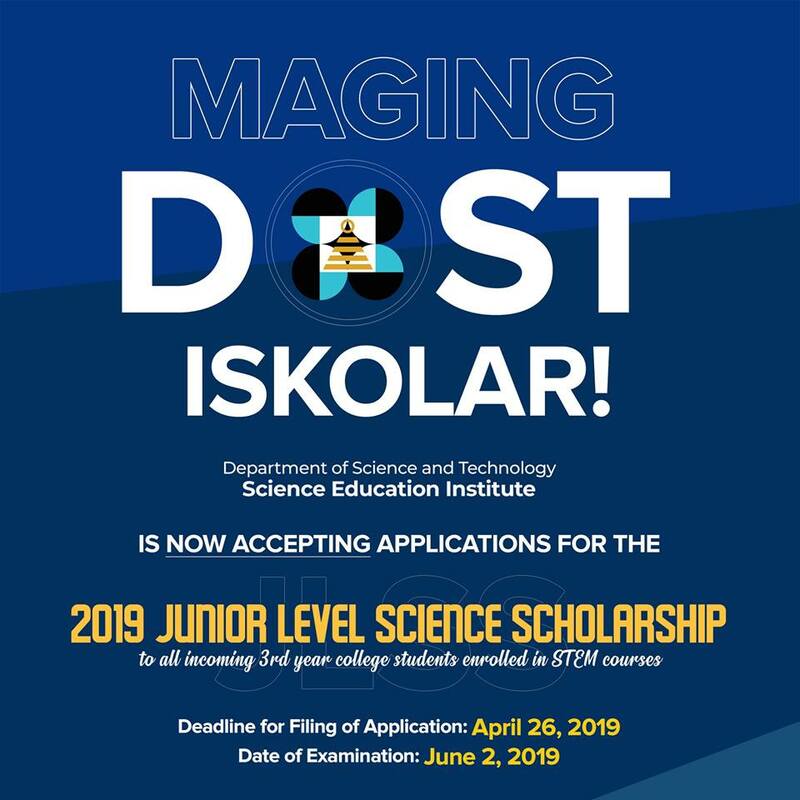 The new scholarship program dubbed "Maging DOST Iskolar" under DOST-Science Education Institute is now accepting applications for the 2019 Junior Level Science Scholarship to all incoming 3rd year college students enrolled in STEM courses. Who may apply for DOST scholarship? - Have not taken any previous DOST-SEI Examination. - Have taken the DOST-SEI Undergraduate Examination but did not qualify for the scholarship. - Qualifier for the DOST-SEI Undergraduate Scholarship but did not avail of the award. Students whose DOST-SEI Scholarship have been terminated should not apply. What are the priority courses for the DOST-SEI scholarship? What are privileges of a DOST-SEI Scholar? The deadline for submitting applications is on April 29, 2019 and the examination date will be on June 2, 2019. 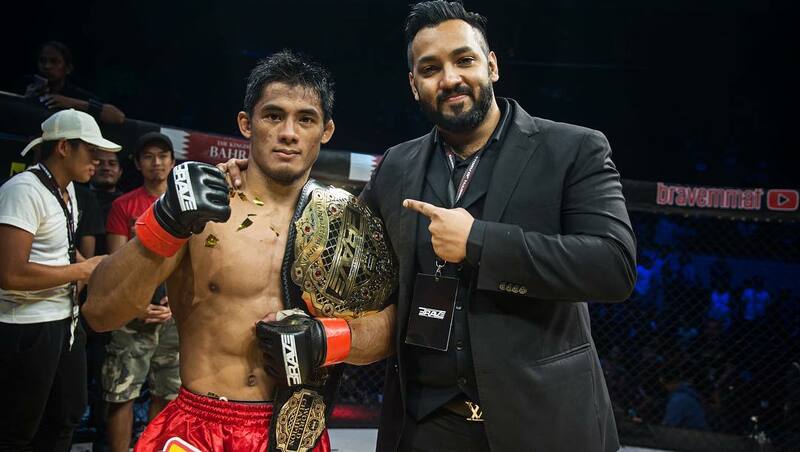 Updates: Cordilleran fighter Danny Kingad defeats Senzo Ikeda via Unanimous Decision in Tokyo, Japan. All judges scored the bout in favor of Danny Kingad. He has now advanced in the Grand Prix where he will have the chance to face his idol Demetrious Johnson. ONE: A New Era is considered the biggest event in ONE Championship history as it features the best fighters in the world. In the main event, ONE Lightweight World Champion Eduard Folayang of Team Lakay will defend his belt against known foe Japanese MMA star Shinya Aoki. Likewise, in the fight card is a trilogy between long time foe ONE Bantamweight Champion Kevin Belingon, also from Team Lakay, will be defending his title against challenger Bibiano Fernandez. Speaking of fighters from Team Lakay, the fight card in Tokyo also includes flyweight star Danny Kingad who will be facing a new opponent former Pancrase Flyweight World Champion Senzo Ikeda. Ikeda replaced Andrew Leone who suffered injury during training and was out of the tournament, according to ONE Championship. Join the contest now, share the video below and don't forget to leave a comment. 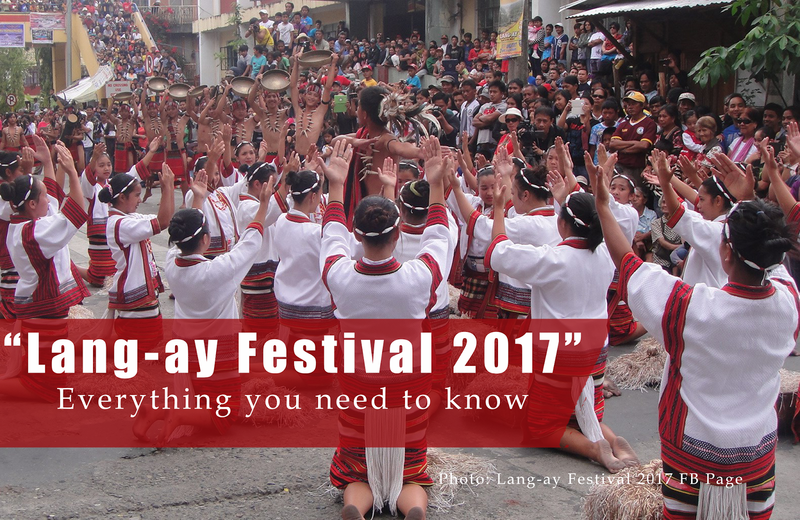 Cordillera - Kapangan Benguet heralds the famous Grand March dance. It is also the hometown of the late Gov. 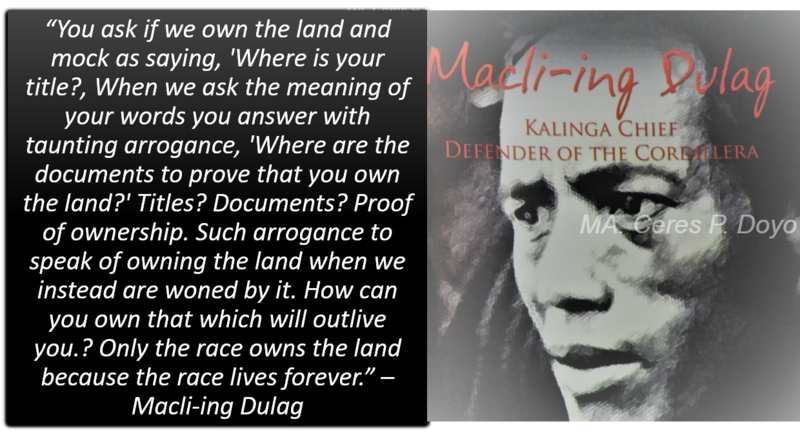 Bado Dangwa, one of the prominent Cordillera figures. But did you know? 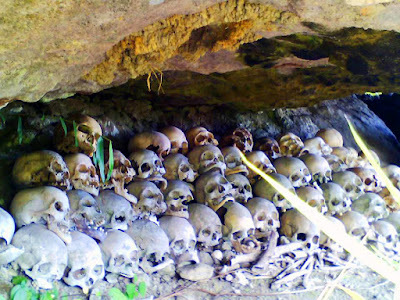 Kapangan also hosts fascinating tourist spots worthy of exploration and admiration. Slowly, it's hitting a spot in the growing ecotourism world. 1. Badi Falls - it the most popular among the many waterfalls in Kapangan. This is actually a series of at least five beautiful waterfalls at a remote outskirt of Barangay Sagubo. The highest of which, measures more that 50 meters high. Some of the falls also have naturally-built pools with icy-cold and crystal-clear waters. Aside from swimming, rappel is often done here. To get there, one needs to hike for more or less two hours from the community proper. Good thing, the trails is well-established though there are steep and slippery parts. 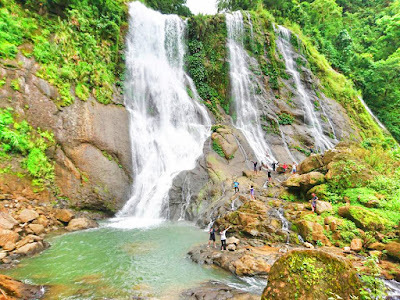 Badi falls is a tourist spot in Kapangan you must not miss. 2. Pey-og Falls - Located in Barangay Boklaoan. 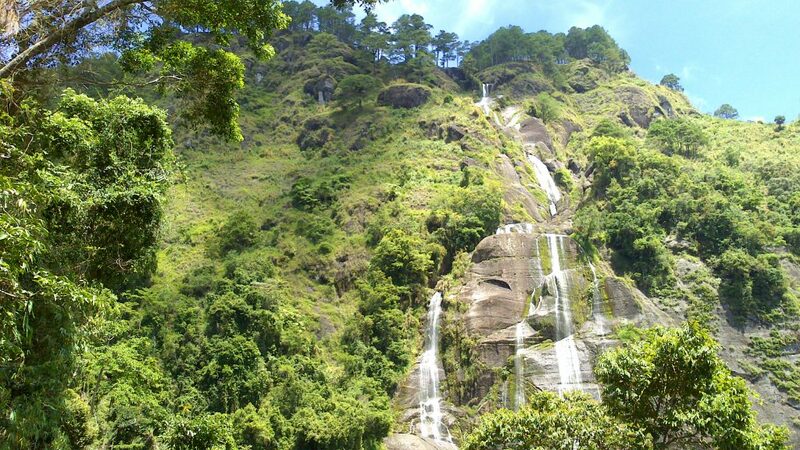 It measures more than 100 meters high, making it the highest falls of Kapangan. The get there, trek for an hour or two from the barangay. You will be passing by forested trails, making it even more rewarding and rejuvenating. Upon reaching the falls, its sheer height and beauty offers an instant relief. Its water cascade in layers like drizzles from the heavens. 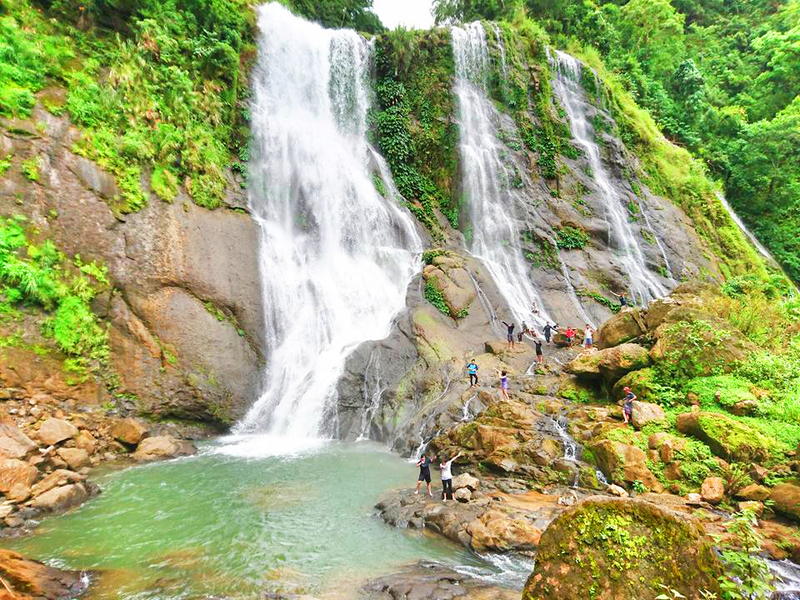 Even from as far as Halsema Highway in Atok, the waterfalls can be seen especially when it's on full force during rainy months. 3. Balabag Mummy Cave, found in barangay Beleng-Belis. It sits at the foot of Mt. Balabag. Oh yes, you can also gaze on stalagmite and stalactite formations here. From the barangay proper, it takes more or less three hours of hike to get there. After visiting the cave, you can trek to Mt. 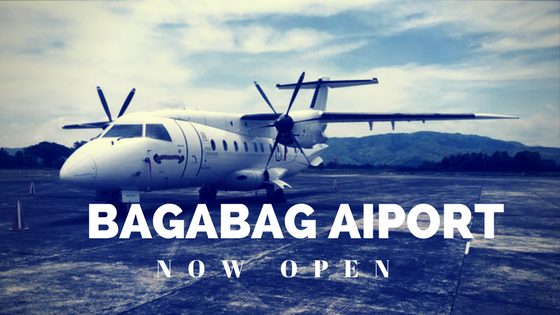 Balabag and enjoy its rustic and scenic views. 4. Catampan Rice Terraces. It is just one of the several rice terraces of Kapangan, Benguet, Heirloom rice varieties are grown here. It is best to come here just before the harvest season or just after the planting season. 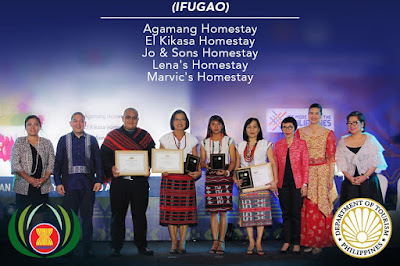 Cordillera - The Kiangan Homestay Association were among the five recipients for the prestigious Southeast Asian Nations (ASEAN) Homestay Award for 2019-2021. The award is given by the ASEAN to groups which create a new brand of tourist experience showcasing local family traditions through affordable holiday. According to PTVnews, a total of 36 tourism enterprises in the Philippine were recognized for meeting minimum requirements set by the Association of Southeast Asian Nations (ASEAN) Tourism Standards in the Philippines. Rebecca Villanueva-Labit, director of the Department of Tourism (DOT) - Office of Tourism Standards and Regulation, said the DOT-organized award manifests the agency's commitment to sustainable tourism. "It also proves the capacity of our private and public partners to best itself and be consistent with the development of sustainable tourism activities, destinations, and practices," she said in a speech during the awarding in Manila on Friday. 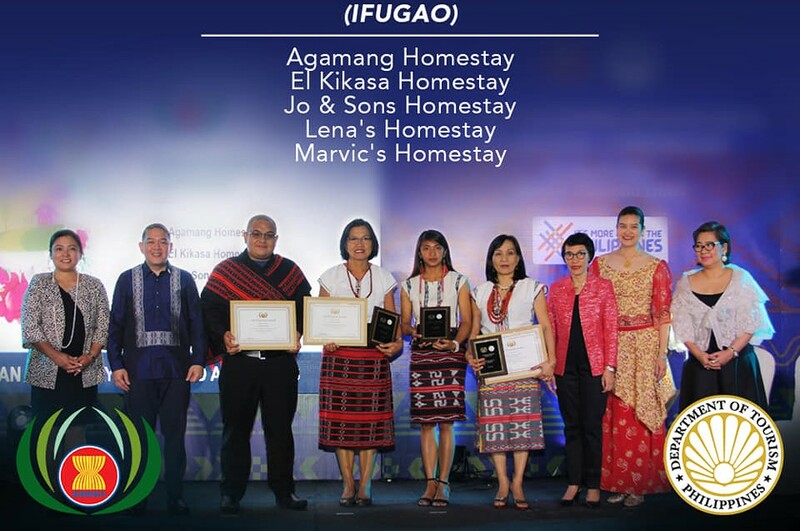 Recognized as ASEAN Community-based Tourism Standard Awardees are the Palaui Environmental Protectors Association from Cagayan Valley, the Tour Guide and Recreation Association, Inc from Rizal and the Sabang Mangrove Paddle Boat Tour Guide Association from Puerto Princesa. Meanwhile for the ASEAN Public Toilet Standards, four were given awards. These were G&B Restaurant, Nueva Viscaya; Cordillera Convention Hall, Baguio City; Maramag Commercial Center B-LGU Maramag, Bukidnon; The SM Store CDO Downtown Premier, CDO. Cordillera - The Cordillera Administrative Region (CAR) has recorded 120 individuals who are centenarians according to the latest survey conducted by the Department of Social Welfare and Development (DSWD). "As of March 21, the Cordillera has recorded 120 residents who have reached the age of 100", DSWD Cordillera marketing unit chief, Nerizza Faye Villanueva said. Included is the list of centenarians was "Apo Whang-Od" of Kalinga. Whang-od is considered as the oldest traditional "mambabatok" or tattoo artist in the country. She uses an old traditional method of tattooing where she incorporates the use of ink from the mixture of charcoal and water and uses three thorn to imprint through skin. Whang-od is the ninth centenarian from the province of Kalinga and she just celebrated her 100th birthday last March 7. All of the centenarians had received a Php100,000.00 cash gift from DSWD and a letter of felicitation from the President and also a special incentives from their local government. According the PNA.gov, there are 30 centenarians in Abra, 27 in Mountain Province, 21 in Benguet, 13 in Baguio City, 11 in Ifugao, 9 in Kalinga and 9 in Apayao. An interesting story of a centenarian from Bontoc shared his story how he was able to reach the age of 100. 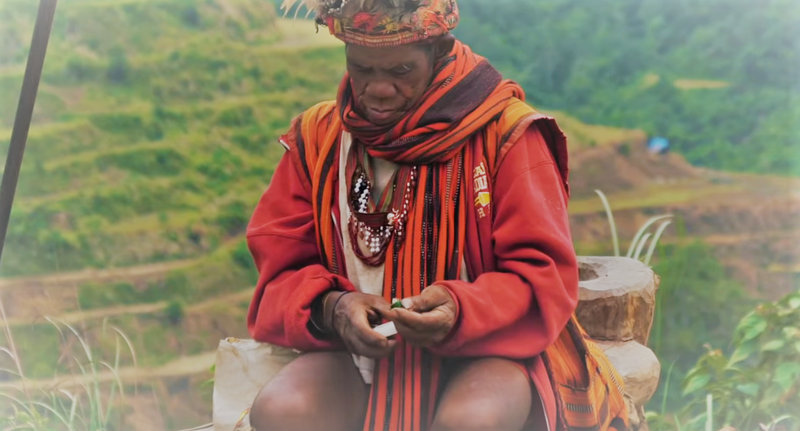 Mr. Herbert Malecdan Todyog, a native of Bontoc shared that living in the village eating organically-grown food like camote, banana, squash and legumes are the reasons he believed help him reach 100 years. He said that he has never been hospitalized, has strong legs and has a clear eyesight. Todyog received Php100,000.00 from the social welfare department and another cash worth Php30,000.00 from his local government. Under Republic Act 10868, all Filipinos who reach the age of 100 will receive cash gift worth Php100,000.00 and a letter of felicitation from the President of the Philippines, whether they are residing in the country or abroad. 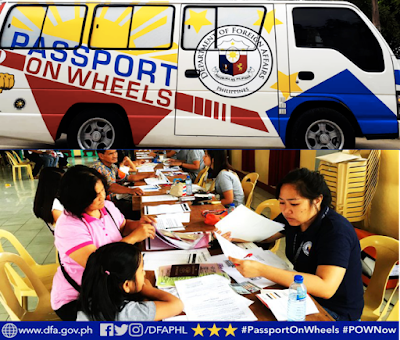 Cordillera - The local government of Bontoc, Mountain Province is encouraging the public to take advantage of the mobile e-passport processing to apply or renew their expired passport at the Multi-Purpose, Provincial Plaza on April 5, 2019. As announced through the official Facebook Page of the Municipality of Bontoc, the mobile e-passport processing will be conducted by the Department of Foreign Affairs - Office of Consular Affairs (DFA - OCA) in partnership with the Provincial Government of Mountain Province. The mobile e-passport processing is the 2nd time the DFA will be conducting in the province. Interested individuals may visit the Municipal Tourism Office at the Bontoc Municipality Capitol or the Office of the Provincial Governor at the Provincial Capitol to have their names be listed for reservation of slots. - Original and Photocopy of valid IDs. - Original PSA documents that will support the change of name if applicable to include Marriage Contract, Annotated Birth Certificate, Annotated Marriage Contract and Death Certificate of Spouse. An applicant has to pay the Passport Fee of P1,200.00 and Courier Fee of P150.00. Cordillera - Twenty nine cadets who will be graduating as member of the SANSIKLAB Class of 2019 or Sigasig na Itaguyod ang Kapayapaan at Ipaglaban ang Bayan are from Cordillera. 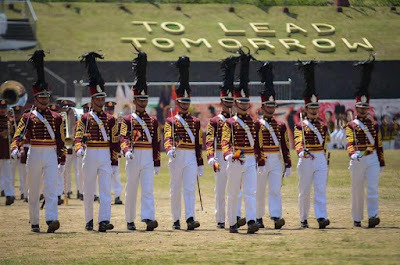 Of the Twenty nine cadets, 26 are males and 3 are females according to Philippine National Police Academy (PNPA) spokesperson Superintendent Byron Allatog. 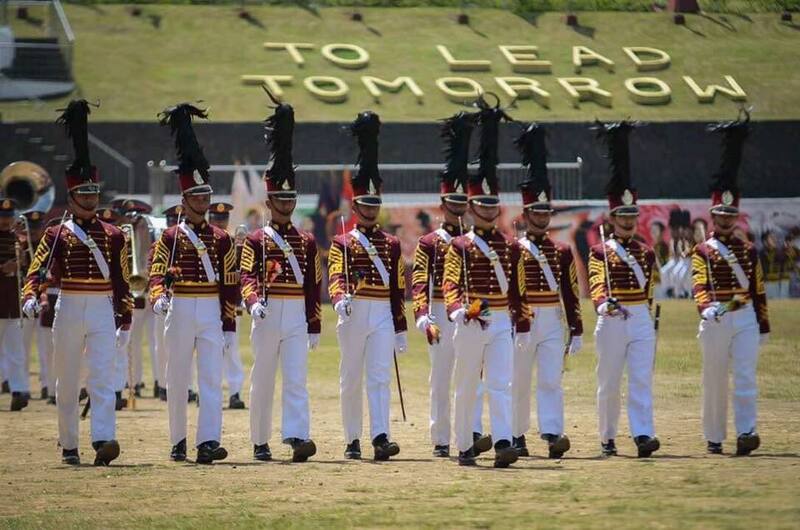 Allatog said that cadets from Cordillera top the list of the 201-member graduating cadets which is composed of 154 males and 47 females. Police Cadet Ferdinand Mark Haguiling Lagchana from Ifugao was the only Cordilleran who made it to the top 10 of the graduating class. Fulfilling his dream in becoming a police, Lagchana is set to graduate on March 22 in Silang, Cavite together with 201 members in the class. Cordillera - Department of Tourism (DOT) Undersecretary Arthur Boncato Jr. lauded Benguet province for producing the best quality strawberries. Boncato, who leads the Tourism Regulation Coordination & Resource Generation department of the DOT, said the strawberry farms in Benguet and in La Trinidad are being eyed as a tourism destination because of its best-tasting strawberries. During the program of the 38th Strawberry Festival, Boncato said there's nothing that tastes better than strawberries locally grown in Benguet compared to other farms found in the country. 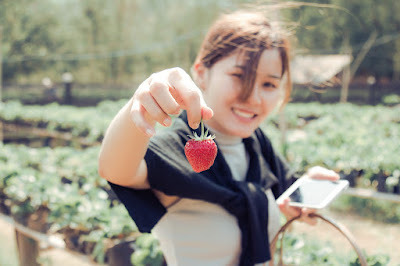 "There are farms in other parts of the country that grow strawberries but there is nothing that tastes better than the (strawberry of the) province of Benguet," Boncato said. He also said that Benguet is "fortunate" because strawberry is considered a high-value crop and many tourists are flocking the valley to have a unique experience of picking fresh strawberries straight from the farm by themselves. 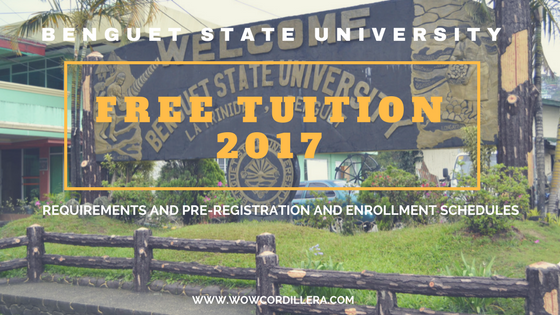 "We are very fortunate that BSU (Benguet State University) is the main source of our strawberries here in Benguet. Our appeal to BSU is to sustain these beautiful strawberry farms. I know there will be expansion farms somewhere but let us think carefully not to make it as a destination for business but a destination for tourists all over the country," he said. The town of La Trinidad is currently celebrating its 38th Strawberry Festival from March 4 to March 29, 2019. The highlight of the festival is the rebuilding of a replica of the Guinness World Record biggest strawberry short cake. Cake lovers can have a taste of the cake on March 23, starting at 11 a.m at the Lednicky hall in the municipal building. There will be a free 50 slices to be served and the succeeding slices will be sold at Php20.00 per slice. Cordillera - After his impressive performance against Elias Bouddegzdame last Friday, Stephen "The Sniper" Loman is no doubt could be the next super star in the combat sport according to Brave President Mohammad Shahid. Shahid made the statement after what he saw about Loman's performance and how the Filipino crowd and MMA fans showed total support to the Cordilleran fighter. Shahid is more than convinced that Loman is going to be the next combat sport superstar from the Philippines after Manny Pacquiao. "What happened tonight, you could not have scripted it better. This is just the beginning for Stephen Loman. I really believed that he will take the sport of MMA to another level in the Philippines. He proved he is a deserving champion." Shahid said. "He is the biggest combat athlete in the Philippine along with Manny Pacquiao. I said before and I'll say it again. People say we gave him the opportunity but it's actually the opposite, he gave us the honor of fighting in our organization. I was sad that not a lot of Filipinos knew him but now I'm the happiest man because the country found a new hero, a fighter who proudly represents the country. Today he showed up and performed for them. He mad sure that they will all go home happy." he added. Stephen "The Sniper" Loman is a passionate and dedicated fighter who will do all his best to win in every bout. He is an ultimate well-rounded fighter with powerful kicks and incredible hands. He has a lot of variety of weapons that he uses in his arsenal. Loman is the first and only Brave Combat Federation Bantamweight Champion in the history of the promotion. He is currently on his sixth fight winning streak after defending his title against Frans Mlambo and Felipe Efrain back in 2018. His victory over Bouddegzdame last Friday has improved his record to 12 wins against 2 defeats with four knockouts and two submissions. Cordillera - The Department of Public Works and Highways has verified the newly identified highest elevation of the Philippine Highway System according the the Department of Tourism Cordillera (DOT-CAR). The highest elevation can now be found in the Municipality of Tinoc, Ifugao along the Kiangan-Tinoc-Bugias Road. It has an elevation of 7,968.07 feet or 2,428.667 meters above sea level with the Geo-Location of 16.70168 degrees North Latitude and 120.88265 degrees East Longitude. This newly identified highest elevation of the Philippine Highway System has surpassed the Atok, Benguet highest peak of 7,400 feet above sea level. Field assessments were conducted along the said new highest elevation in Tinoc in January 2019 by the representatives from the Planning Service of DPWH Head Office, DPWH-CAR and Ifugao 1st DEO. 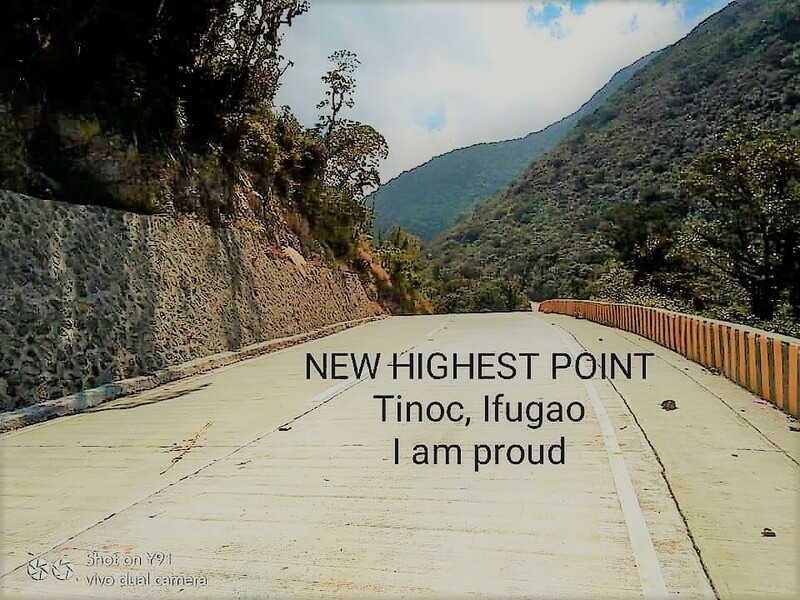 The verification of the Tinoc, Ifugao highest elevation by the DPWH would pave way for tourists to visit the place and have a view of the beautiful road and the surrounding scenery. As of the moment, there is no signage erected on the road but sooner the DPWH will put one in the future. 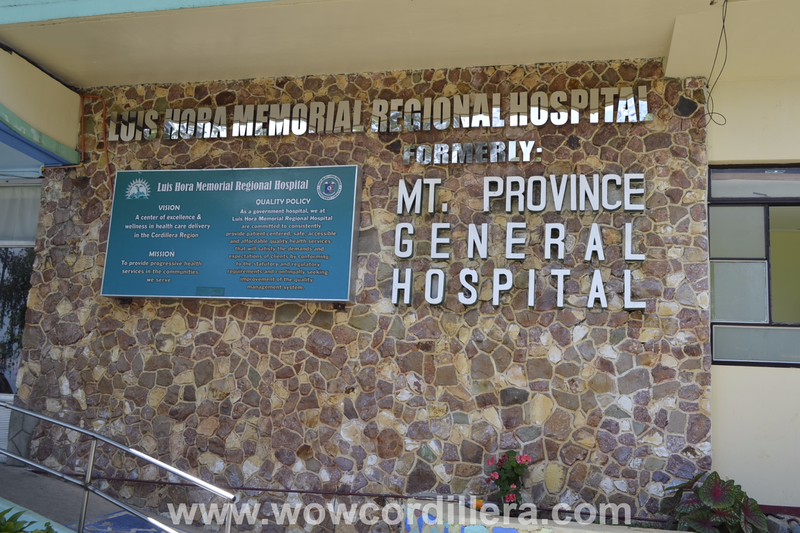 Those planning to visit the place can take Halsema highway route if you are coming from Baguio. Then take the Abatan-Loo-Lilit-Bot-an-Mansoyosoy-Lusab road until you reach the road where thick forest can be seen on the side of the road. Cordillera - Senator Cynthia Aguilar Villar is now an adopted daughter of Bauko Mountain Province. She was conferred the name "Kadem-ayan", a kankanaey term for a renowned woman who is rich materially, caring, generous and loving. Through Resolution no. 2019-045 passed by the Sangguniang Bayan of Bauko, Villar is now officially declared as adopted daughter of the town. The resolution highlights Villar for her dedication and generosity in helping the Filipino people through her foundations and programs. "She is called the 'Mrs. Hanapbuhay' due to her dedication and generosity to serve the needy through her Villar Foundation, Sagip OFW and other programs. 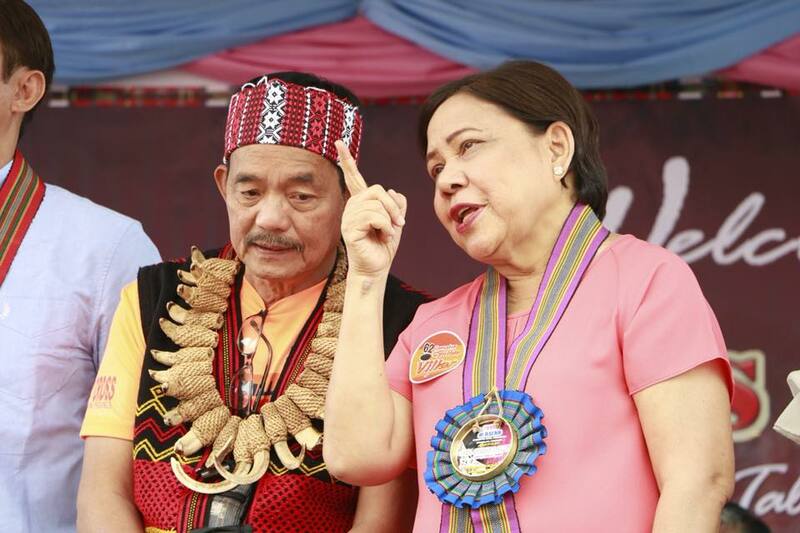 Adopting Senator Cynthia Villar as daughter of Bauko to open stronger ties and linkages from her world to her new home," the resolution reads. Villar was officially welcomed into the community of Bauko during the celebration of the 13th Begnas di Bauko on March 13. Villar graciously received the title bestowed to her By Bauko Mayor Abraham Akilit together with Sangguniang Bayan officials and stakeholders. Mayor Akilit encouraged his constituents to emulate Villar's principles in doing things. "Livelihood program is the brainchild of the senator. Whenever she has the chance to think, she thinks and sees the things as business, the value that we, Baukonians should inherit from her in order to survive." Akilit said. Cordillera - A big moment for Cordilleran fighter Stephen "The Sniper" Loman as he successfully defended his bantamweight title against Algerian challenger Elias Boudegzdame during the Brave CF's "Storm of Warriors" at the Mall of Asia Arena on Friday. Loman of Team Lakay put off an impressive performance during the fight as he masterfully used his striking power to get the victory he deserves. Loman's superior power shots paid off during the 4th round as he tagged the Algerian with a solid left uppercut that sent him to the canvas. Loman then followed him with ground and pound to which the referee came to halt the fight. There was a short moment when Loman was delivering his ground and pound to Boudegzdame and kept looking at the referee to stop the fight. Loman knew how hard his punches were and would not want to put much damage to Boudegzdame. Loman dedicated his victory to the Filipino people and to his uncle who just passed away. "I'd like to dedicate this fight to all of you," Loman said. "I would like to dedicate this fight to my family and teammates. But also to my uncle, who passed away this month. This was for him, definitely", the champ added. Meanwhile his teammate Jeremy Pacatiw, advanced his winning record against Mark Alcoba via armbar submission. Also Loman's teammates Harold Banario and Joman Pa-ac were also able to get a win that night. 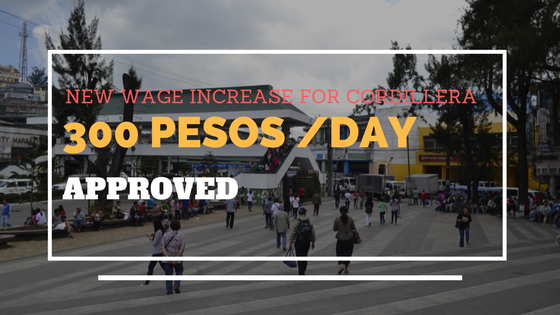 Cordillera - Integrating technology, innovation and of course hard work can produce incredible results to the earnings of farmers. 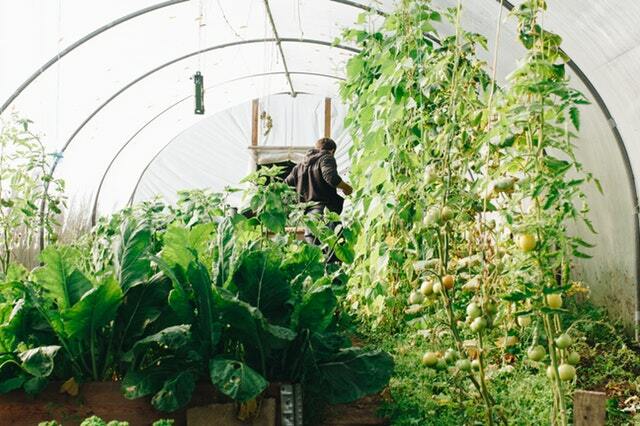 A young farmer from Benguet is earning around Php54,000.00 a month planting cucumbers in a greenhouse. Sergio Capsuyan, 29, a farmer from Abatan, Buguias is reaping the benefits of the knowledge he had learned in Japan. He was one among the youth members of the Buguias-Japan Agricultural Trainees Association (BJATA). He is also one of the Board of Directors in the said association. The association was organized for the members and trainees who acquired the Japanese agricultural and technological skills to apply them in their local farms in Abatan. Capsuyan said that he can earn an income of Php54,000.00 in one month or one cycle of weekly harvest by planting at least 8 beds of cucumber. He attributed his bountiful harvest from using a greenhouse given to him by the Department of Agriculture Cordillera (DA-CAR) High-Value Commercial Crops Development Program. He said that it is very productive to grow crops in a greenhouse because he can control and maximize his irrigation including his production inputs. Capsuyan also shares how he mitigate insect pests in his crops by applying a method called fertigation. This is by fermenting a sack of chicken dung and 4 liters of Mukosako in a drum of water. This will become a liquid fertilizer that helps in the growth of plants and acts as a repellant to insect pests. Mukosako is a wood vinegar condensed from a chimney attached to a fire chamber where wood and other combustible materials are burned. Fertigation is indeed a very good natural combo of fertilizing the soil and controlling pests not to mention the splendid production volume and quality wise. The raw materials used are organic, inexpensive and harmless to both humans and the environment. Capsuyan also grows vegetables in the open field but he said that in terms of quality and productivity, greenhouse farming is the best. Capsuyan was very appreciative to the help extended to him by the BJATA, the DA-CAR and other DA agencies that promote new technologies, new vegetable crops, crop programming and market development to young farmers like himself. Very soon, Mr. Capsuyan will receive a certificate as a Good Agricultural Practices (GAP) practitioner from the DA. Cordillera - The era of Philippine Mixed Martial Arts has begun and has been taking the center stage of the sports media nowadays. Thanks to all the Filipino fighters who put their time, effort and dedication to the sport. The Cordilleran martial artists are now making waves in major sport organizations like ONE Championship and Brave Combat Federation. 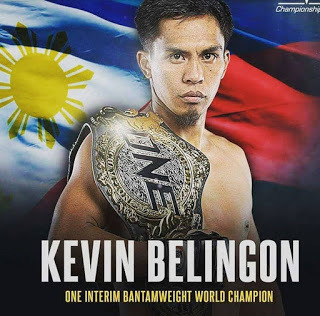 ONE Championship promotion has Kevin Belingon who currently holds the World Bantamweight title while Brave Combat Federation has Stephen Loman who is also holding the same title. Both fighters are Cordillerans who happened to be from the same tribe, the Ifugao. They are both training under the stable of Benguet-based gym Team Lakay with multi-awarded coach Mark Sangiao. This coming March 15, 2019, he will be defending his title against Elias Boudegzdame in the main event of Brave 22: Storm of Warriors at the Mall of Asia Arena in Pasay City. This is the first time Stephen will be fighting in front of his countrymen right in his own homeland. Meanwhile, his town mate Kevin "The Silencer" Belingon is one of the most exciting Filipino MMA fighter of ONE Championship because of his explosiveness and speed when he fights inside the cage. He is known for his powerful punches that when landed solid to his opponent, would be the end. 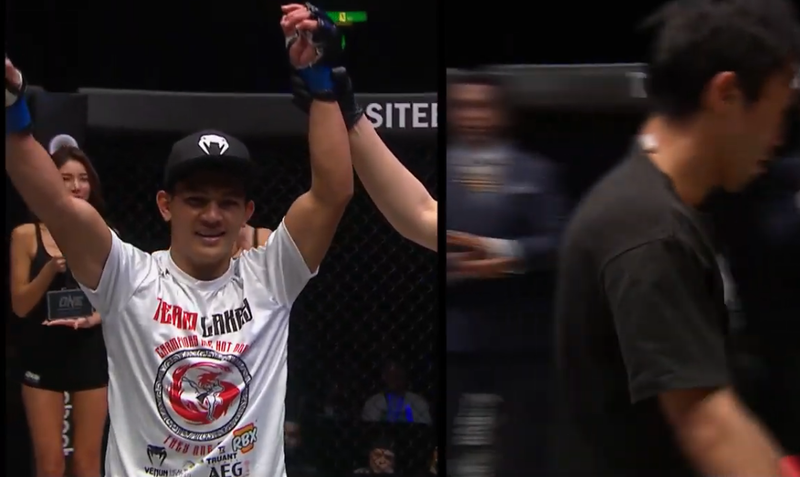 Currently, Belingon holds the ONE Championship World Bantamweight title after grabbing it from the Brazilian fighter Bibiano Fernandes after their match in November last year. Belingon is set to face Fernandes for the 3rd time in the co-main event of ONE: A New Era on March 31 at Ryogoku Kokugikan in Tokyo, Japan. The 31-year old Belingon showcased a lot of improvements during his last fight and is now in his seventh winning streak. The ONE: A New Era will also see the most anticipated fight in the main-event as ONE Lightweight World Champion Eduard Folayang will defend his belt in a rematch with the Japanese martial arts icon Shinya Aoki.